Versus Evil and Gearbox Publishing, in partnership with Stoic, announced the launch of the physical boxed edition of the award-winning, BAFTA nominated role-playing strategy indie series on Nintendo Switch. The Banner Saga Trilogy Edition provides Nintendo Switch players with the opportunity to own a physical version of the game and play the entire thrilling saga from start to finish. Players can drive their own narrative in the Banner Saga Trilogy on Nintendo Switch and can carry over the decisions made from the Banner Saga and Banner Saga 2, leading to different climatic endings in the third and final chapter of the series in Banner Saga 3. With a heart wrenching story guided by the complex and sometimes difficult choices they have made in the previous two games, Banner Saga 3 maintains the legacy created by the previous chapters and brings the epic Trilogy to a climatic end. 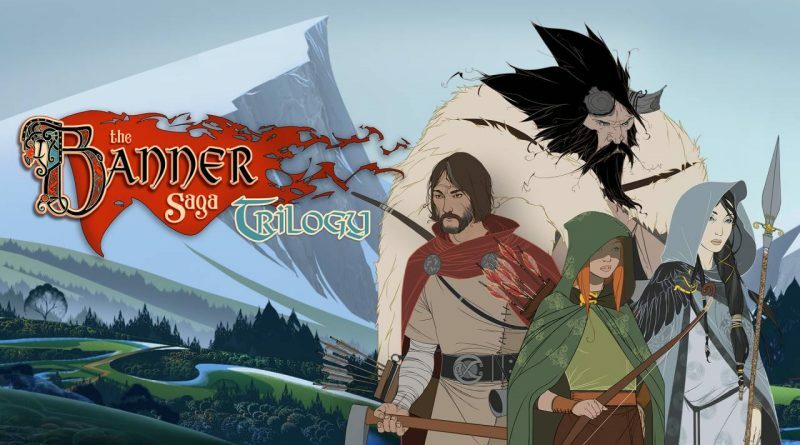 The Banner Saga Trilogy physical edition, published by Gearbox Publishing on Nintendo Switch, brings together all three games of an emotionally driven series that began in 2014 and has continued to enthrall its legion of fans with a mature story driven adventure beautifully crafted with its iconic hand painted visuals and challenging, strategic turn-based combat. Available from 505 Games – The Banner Saga Trilogy: Bonus Edition – for both Xbox One and PlayStation 4 physical retail edition is also available, priced at $39.99 / £29.99 / €39.99.